The Texas Mile Event has come to an end and this year was another one for the record books. We saw the return of some familiar faces and many newcomers to the runway race-track. As you may recall, the entire point of this event is to see how fast your car can go. That may sound simple, but the idea behind much of racing is to beat your competition around a circuit type track. Simply having the fastest car in a straight line race is more closely related to drag racing where such vehicles as Funny Cars and Top Fuel Dragsters hit 200mph in a ¼ mile. In a place where everything is bigger - Texas, that is - several fans of speed have put together an event on a much longer straight than a ¼ mile. Anyone in a normal car is able to reach their terminal velocity at this event and that is what makes your adrenaline pump. In all honesty, most people don’t hit more than 100mph in their car at any point in time. Number one, it’s illegal and number two, there is usually not enough room to get up to speed and sustain it for any period of time. This year’s event gave those speed junkies a chance to let their powerful automobiles and motorcycles reach their maximum speed. The highest speed this year was set by a motorcycle doing 278.6mph. To take a full look at the race results continue reading below. Hit the jump for more details on the Texas Mile Event Recap. One of the best ways to earn bragging rights at this event is to hit 200mph in whatever you’re driving. 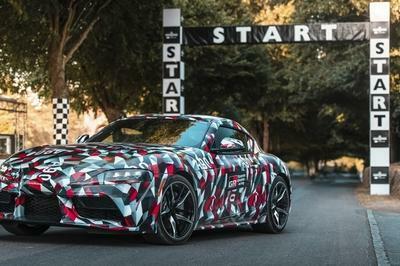 Considering that only a handful of super-exotic machines can hit 200mph from the factory, most of the vehicles at this event are heavily tuned. Also, the top 20 spots in the 200mph club belong to motorcycles. This is mainly due to the physics of attempting to go that fast. Eventually wind and contact with the road become pivotal places affecting how fast an automobile can travel. 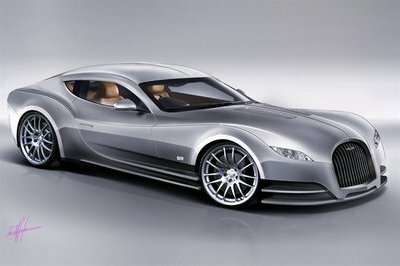 Even the tires on the ultra exotic Bugatti Veyron are not rated to go faster than 260mph. At this event a new record was set by Bill Warner driving a 1250cc Suzuki Hayabusa. 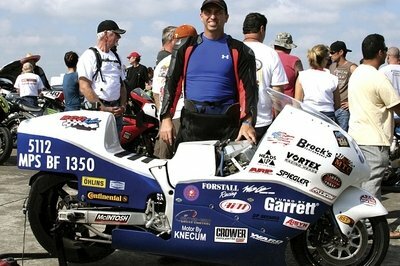 His heavily modified and turbocharged motorcycle came screaming down the runway at 278.6mph. That may be subsonic, but it is approaching half the speed of sound. We’re sure that holding onto a motorcycle at that kind of speed is not easily accomplished and our congratulations go out to Bill. Another attendee was able to break a personal best and take the title of fastest automobile for the year. The Orange Lamborghini Gallardos have become a staple of this event and were back for more this year with driver Richard Holt behind the wheel of one and Jonah Yokubaitis behind the other. The overall record holder for the event is a 2009 Gallardo fitted with a turbocharger producing around 1,000hp. During its time on the track at a previous event, it was able to capture the record posting 250.1mph run. This year did not turn out as well for Richard and his Lambo, they were only able to reach 235.2mph. 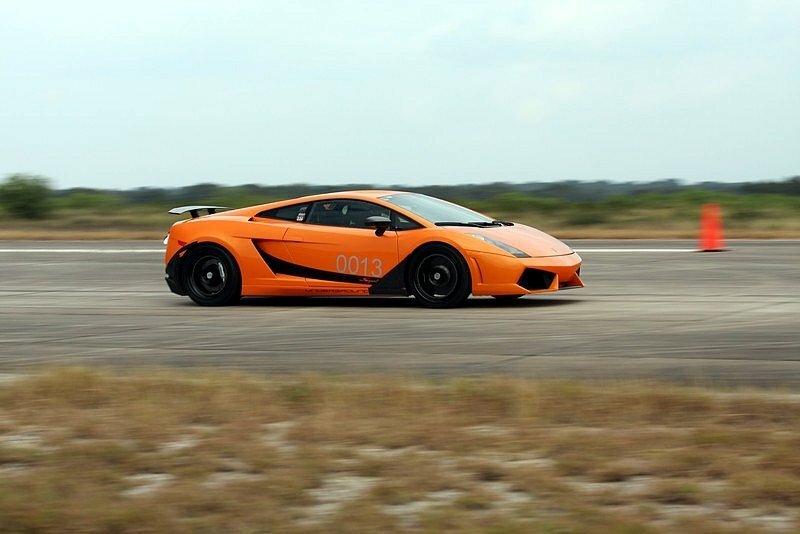 As several other Lamborghinis jockeyed for the top spot, it would be Jonah and his 2009 LP560 that would become victorious and reach 243.0mph. 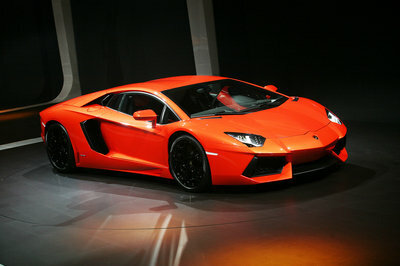 Some of the other fastest vehicles include three Lamborghinis and two Toyota Supra models in the top five. The top two spots actually belong to Jonah Yokuaitis seeing as he brought not one, but two super fast Lamborghinis to the track. Behind Jonah came a 1995 Toyota Supra that was also turbocharged and fast enough to reach 238.5mph. 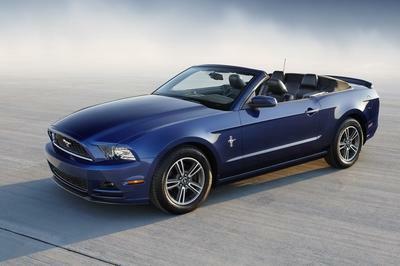 While it is no small feat to break 200mph, the slowest man in the club is Adam Michael and his 2004 Ford Mustang Cobra that reached 200.4mph. I’m not really familiar with this event and what’s its rule. However, I have read a lot of news about regarding this and I think all the great sportscar gather for the 3 days race! Yeah, that’s basically how the competition goes. And you will be surprised to know that, aside from the certificates that they receive, there is no prize money here. It is actually more for bragging rights. Wow! That’s nice. I think its kind of different from other race track since Texas Mile will be using the circuit type race track on longer line. So, basically, the goal of the competition is to know who could run the fastest in straight line. @Andy Driscoll actually, in the Texas Mile, there are no speed limits, during the event, you are free to sprint as fast as you can. That’s why they bring lots of crazy vehicles there. Well., the race did go as expected. 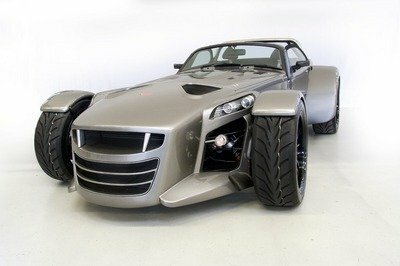 And the influx of tricked out cars here is certainly an attraction in itself. It’s just too bad that there were some mishaps. These are similar to the street races with crazy speeds to test their limit. Only difference is that these are organized professionally and highly equipped to test the reliability and provides the finest racing tracks. It is true that most of the vehicles wont even touch 100, and testing your vehicle’s and your capacity, these are the right spots. By the way, 275 on a bike, I don’t think it is a joke. You need a lot of muscle to control yourself and the bike. Good work Bill. Sorry for my ignorance, but I’m not familiar with Texas Mile. However, all I know is that Texas speed limit is up to 80 mph only. I have a doubt if the car and motorcycle that joined in the race could run on its full speed. BTW, I think this race would be fun! Wow, that’s definitely making go0od use of the Hayabusa. The bike is actually very powerful as it is, but the way that they have ramped it up would certainly get it up to speed more.